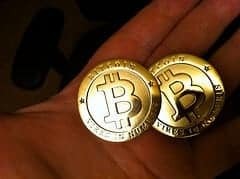 Bitcoin Value Part 2: Does Money Even Need a Use Value? You are at:Home»Coinbrief»Bitcoin»Bitcoin Value Part 2: Does Money Even Need a Use Value? However, there is another prominent thinker in the Austrian-Bitcoin community who argues that Bitcoin can become a money– and is in the process of doing so– without having a direct use value. This thinker is Detlev Schlichter, and he uses the history of paper money to support this argument. In this article, we will explore Schlichter’s argument and determine whether or not it adequately explains the origin of Bitcoin value. The origin of money was not the product of government fiat– although today we do use money that is imposed upon us by government mandate– and it was not a deliberate invention on the part of an individual or a group of individuals. Rather, the origin of money arose spontaneously, from the market, as a result of individuals interacting with each other in order to satisfy their respective self-interests. Before money arises in a market economy, individuals trading with each other must conduct their business through direct exchange, or barter. This type of exchange requires individuals to trade goods for other goods, rather than trading goods for money. For example, Farmer Brown is a pig farmer and Farmer Jones is a horse farmer. Brown needs horses but only knows how to raise pigs, and Jones needs pigs but only knows how to raise horses. If social capital is present (social capital is the growth and solidifying of social networks that comes from individuals interacting with each other in a non-monetary way. We do not have room for an in depth look at the importance of social capital, unfortunately. ), and the two farmers know of each other’s skill in cattle and pork raising, then they can trade with each other and satisfy their needs. Thus, a direct exchange has taken place. But there is a large problem with direct exchange, however. It is not often that individuals will be able to find someone who is willing to trade, goods-for-goods, with them. The reason for this difficulty is that, without a medium of exchange, the parameters for trade are very specific. If Jones needs pigs but Brown does not need horses, then no trade can take place between the two. This difficulty is known as a lack of a double coincidence of wants. And that lack is why money arises in a market economy. Money can rise in any given community as long as there is a mutual demand for several objects. Individuals can then use these mutually desired objects to trade indirectly. For example, if corn is mutually demanded in Jones’ community, then Jones can sell horses to Farmer Smith for corn, and then sell the corn to Brown for pigs. Over time, the market will select the most saleable good, in this case it is corn, and it will become the money for that society. Schlichter argues that this process does not need to take place in order for Bitcoin value to come forth in the market economy. Since money already exists in our global society, any medium of exchange can become a secondary currency and eventually replace the current money without going through the evolutionary process laid out by the regression theorem. Bitcoin value can come into existence by bootstrapping or “piggybacking” onto the prices of the existing money(s). Essentially, if people want bitcoins, then they can determine the Bitcoin value based on the existing price system. If people willingly pay $100 for 1 bitcoin, then the market value of Bitcoin is $100 per coin. Thus, the Bitcoin value has been established and will begin to fluctuate based on changes in the market. Schlichter supports his argument for this process by referring to the history of the evolution of paper money. Presently, paper money has no direct use value, and the paper certificates themselves never had any direct, non-monetary, use value. Yet, individuals still readily accept the slips of paper and value them highly as money. Why is this? If, according to the regression theorem, money must have had a direct use value in order to become money, then how can paper money possibly achieve the level of valuation that it currently has? If we apply the regression theorem to paper money– more specifically, the dollar– then we will reach a certain point in American history, August 15, 1971, when President Nixon debased the dollar by completely removing its gold backing. This historic event points to the source of the fiat dollar’s value: its previous connection to gold. Once we reach the point where paper money was connected gold, we can then trace the regression of gold’s purchasing power to the point where it was valued solely as a consumer’s good, satisfying the regression theorem. As we can see, Schlichter views the progression of money not as the disconnected evolution of individual monetary technologies, but as a long chain of successive events that determined the state of the present day. Paper money did not diverge from gold, but rather continued the evolution of monetary history. Therefore, Bitcoin value, although further removed from gold than fiat currency, did not arise independently of gold. Bitcoin value exists because it does in fact have a historical link to gold, which allows it to satisfy the regression theorem. This theory is strong, and is a very accurate description of how Bitcoin’s purchasing power has progressed, but it does not satisfy the real question; the theory fails to answer why Bitcoin was ever linked to fiat currency in the first place. What impelled individuals to trade their fiat for Bitcoin? Additionally, the process of Bitcoin bootstrapping to fiat seems to have happened conversely to the process of the evolution of fiat. Paper money was backed by gold, and then that gold backing was removed. Bitcoin, on the other hand, was backed by no pre-existing money and then became backed by fiat. So Schlichter’s explanation of Bitcoin’s historical link to “real” money is not very satisfactory. Bitcoin had to have some use value that would have made it desirable to buy it with fiat currency. But what was it? These two major flaws in Schlichter’s theory make Graf’s argument– which was covered in the previous article– much more satisfactory in terms of determining the origin of the Bitcoin value. And yet, there is one major flaw in Graf’s theory as well, which will be discussed in a later article. Here is a source for Detlev Schlichter’s theory on the origin of Bitcoin value.